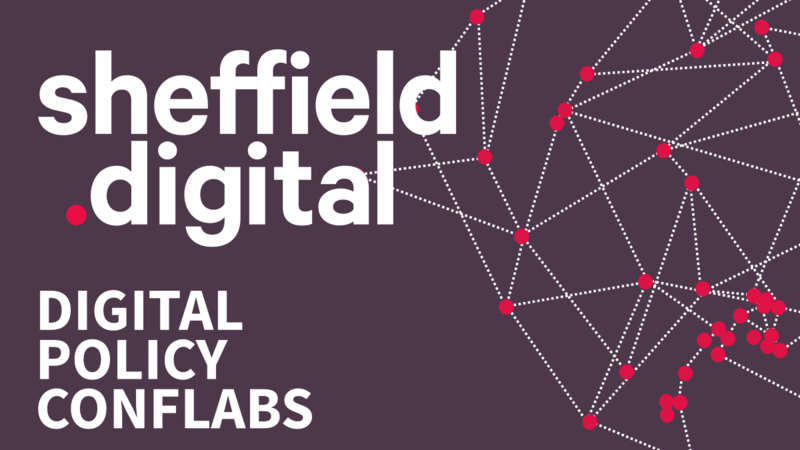 The first Digital Policy Conflab was held last month, here's a summary of what happened. What was the purpose of the event? One of our three missions at Sheffield Digital is to represent the digital sector to policy-makers locally, regionally and nationally, in order to enlist their help in making the city a better place to start and grow digital tech businesses, to provide them with good information and advice, and encourage them to deploy their resources in effective ways. In order to perform this mission, we think it’s important to develop a list of areas that are relevant to this purpose and, within each of these areas, identify existing work and articulate potential activities that would make a difference. We call this list of areas a Digital Policy Framework, and I have blogged about it previously, here and here. 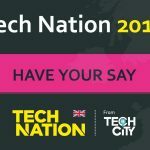 Furthermore, we think the effort to produce this framework should be open and accessible to everyone in the digital tech community, so that we can collectively evaluate the broadest spectrum of opinion and ideas possible, and involve the community from the outset so it is ready to support initiatives when they eventually germinate. 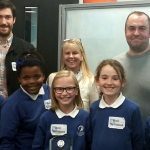 You may ask why this should be open to everyone and not just paid up Sheffield Digital members? Well, we have always said that our intention is to support the whole community, and that in return we hoped that people would see the benefit this approach brings and choose to support us. We will, in time, provide certain specific benefits to members, such as discounts to events, and certain kinds of access, but we think the policy framework, and the process of creating it, benefits from being as open as possible. The event was held under Chatham House rules, meaning that we would publish who was present, but not attribute anything that was said to any particular individual. What did we discuss at the Conflab? Much of the early discussion centred on what the purpose of this effort is, and what outcomes we hope to achieve. While everyone was positive and appreciative of our effort to convene people and create a space for discussion of these topics, it was clear that we need to do more to explain what this is for and about, and why it’s important. The first Conflab was intended to be an introductory discussion, but we also know that we need to give it more structure as we move forward. We will endeavour to do so. The most significant piece of information we discovered is that the Sheffield City Region Local Enterprise Partnership (LEP) intends to put the development of a holistic “Regional Digital Action Plan” out to tender. They are still working up the details and scope of this work, but we know it will include digital skills strategy, in addition to economic development politcies. The size and nature of the procurement is still unknown, but it should be made public in the next few weeks, and we suspect it is likely to attract some large consultancy firms. In addition to scope and timescales, another important question that was raised surrounded the relationship between this work and the imminent work to review and update the existing LEP Growth Plan, and a similar point was made about its relationship to the currently underway Science and Innovation Audit. At the moment, it is unclear how the proposed regional digital action plan work will feed into either of these efforts. This information led to a number of questions, most important of which being whether such an exercise would render our policy discussions moot, or whether we should invest effort in other areas while this regional policy work is underway visit this web-site. The group’s opinion was that we should continue these discussions, as they are complementary and provide a forum to support, evaluate and critique the regional work being commissioned by the LEP. This is Sheffield Digital’s view also. Questions were also raised about whether our policy framework should relate to just Sheffield, or the wider Sheffield City Region. The consensus view was that we should focus on Sheffield for this work, but that it could be extended to the region should there be a funded opportunity to do so. Another strand of discussion centred on the stakeholders for whom a Digital Policy Framework would be relevant, and particularly how it might align with their stated ambitions and drivers. A couple of courses of action came out of this discussion: firstly to identify the intended audience of this framework, i.e. who we intend to influence with it; and secondly to look at what those stakeholders’ strategic ambitions are and record them so we can highlight where our thinking aligns with their drivers. That we should review other digital policy frameworks, or city digital strategies and see how they are articulated. While there will be significant overlap between them and what our proposed framework will cover, they will necessarily differ in the detail as the conditions and capabilities present in our local environment will be different to other cities. The point was made quite strongly that a Sheffield (or Sheffield City Region) policy framework should be home-grown and reflect local priorities. That in order for the policy framework to align with the visions and ambitions of other city stakeholders, we should compile a list of their mission & vision statements and the reports and strategy documents informed by them. That the digital policy framework should be prefaced by its own guiding statement: a vision of what we are trying to achieve for and within the city. A number of vision statements were suggested at the meeting and subsequently by attendees in the #-policy channel on the Sheffield Digital Slack. Finally, we also discussed whether the policy conflab process was useful and what form it should take, and the general opinion was that it was a good process in principle, that an opportunity to discuss and influence these issues was welcome, and that the forum should be convened more regularly than the once per quarter we originally envisaged. This feedback is very encouraging, and we are committed to providing a forum for digital policy to be discussed, and to improve the knowledge in the city and amongst the tech community around these issues. We are of course limited in the time we can spend developing and organising this, but we will keep the process moving at the best pace we can. Information about the policy conflab process. A repository of relevant reports and documents. A summary of city stakeholder vision statements. A repository of digital policy framework vision statements. We will propose a format and convene a second conflab during November. We will likely theme each conflab to a particular aspect of the overall framework, but also entertain the meta-question of what should and shouldn’t be in scope overall. We will keep abreast of the LEP Digital Action Plan process and keep people informed. We interview Hannah Kitching and Rob Murphy to find out their plans for Sheffield City Region if elected. A chat with Rachel Ferla from Google Digital Garage and updates on the Meta Meetup and Digital Conflab.